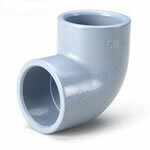 PVC (polyvinyl chloride) fittings are ideal for use in pressurised irrigation systems, drinking water, chemical installations or for water treatment applications. 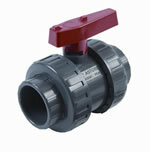 ABS (Acrylonitrile Butadiene Styrene) fittings are ideal for use in pressurised low temperature systems, drinking water, or for water treatment applications. A complete range of manual and actuated ball and butterfly valves, available in both u-PVC & ABS to suit for a wide range of industrial applications and requirements. Astore PP clamp saddles are the ideal, high-quality solution that allows easy branching of a PE or PVC pipe without the need to cut it in two. 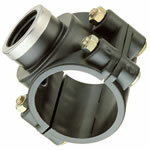 They are a perfect cost effective solution for branching from existing pipelines for water and irrigation applications.